WASHINGTON — The conflict in Syria could be taking a turn for the worse. Saif al-Adel, al-Qaida’s revered field commander, was reportedly sent to Syria as an emissary on behalf of al-Qaida leader Ayman Al Zawahri. Allegedly, his job is to broker a deal between warring al-Qaida and the Islamic State of Iraq and the Levant (ISIL) factions in Syria. If he’s really there, “that would be really bad” because al-Qaida might be planning something, said Patrick Skinner, Director of Special Programs at the Soufan Group. Many in the U.S. intelligence community recognize Adel as the savviest operational terrorist in the world. Adel is wanted by the FBI for his alleged role in the 1998 bombings of the U.S. embassies in Dar es Salaam, Tanzania, and Nairobi, Kenya. The bombings killed 224 civilians and wounded more than 5,000 others. Before that, Adel, a former military colonel in Egypt, engineered the assassination of Egyptian President Anwar Al Sadat in 1981. Skinner said al-Qaida has no one better at all the elements of operational terrorism planning. “Saif al-Adel is functionally effectively the number one operational planner in al-Qaida,” Skinner said. Adel is so respected that “he was temporarily in charge right after Osama bin Laden’s death,” he added. Current and former U.S. intelligence officials snap to attention when his name is mentioned because, according to Skinner, a former CIA case officer, they recognize the power he wields in the world of terrorism. But Adel has been out of circulation for years. 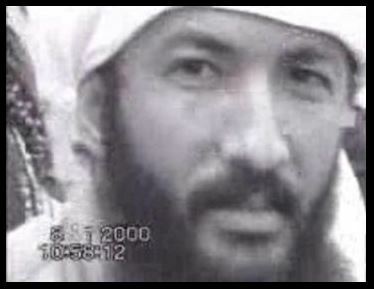 Shortly after the 9/11 attacks, he and other top al-Qaida commanders disappeared. It later turned out that he was under house arrest in Iran. He was allegedly released in 2010, experts said at the time. His location in recent years hasn’t been clear. Credible reports from U.S. and foreign intelligence sources placed him in Waziristan. That is believed to be the location where Zawahiri may be hiding. In September, the Iranian government made a highly publicized prisoner swap with al-Qaida. Adel allegedly was among a group of five senior al-Qaida figures released. Regardless, his task may not be easy or possible. “Given the struggle between ISIL and AQ for primacy in the global jihadist movement, and the multi-sided conflicts across the Middle East and North Africa that have erupted in the past few years, it would be difficult for any legacy al-Qaida member — no matter how senior or respected — to simply stroll back into a senior leadership position after a prolonged absence,” a U.S. counterterrorism official told WTOP. Adel is believed to be in his early 50s and the collective engine of today’s terror movement is younger people in their 20s and 30s. According to a statement from Zawahiri, Muslim jihadists “instead of fighting against each other should rally together against Russia and the West”. Adel appears to be his choice to try to bridge the gap. Abu Khalid al Suri, Zawahiri’s last envoy sent to mediate a deal with ISIL, was assassinated in a suicide bombing in February 2014. His death opened a bitter feud between al Qaida and ISIL, and served as a wake up call to intelligence agencies around the world that Al Qaida might no longer be the world’s most dangerous terror organization. Soon after, ISIL launched murderous raids through Iraq and Syria, establishing a still-standing pseudo Islamic state. Skinner said sending such a prominent al-Qaida figure on such a risky mission may reflect the group’s desperation to survive. The U.S. counterterrorism official seemed to concur.